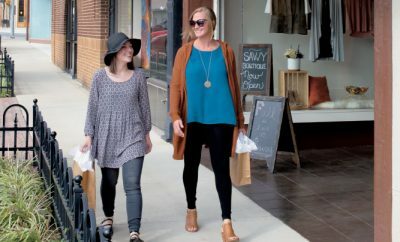 Are you looking to lose yourself in fall fun this season? 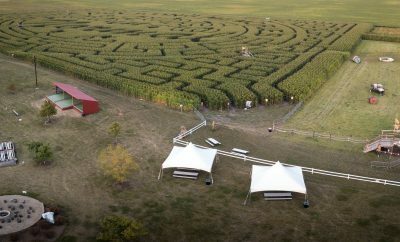 Head to Richardson Adventure Farm and meander your way through the 28-acre corn maze, which the farm claims is the largest in the world. 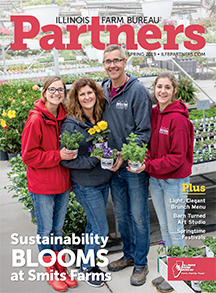 Just an hour’s drive northwest of Chicago, the farm boasts fall fun for the whole family, with the famous corn maze plus more than 30 other farm activities such as wagon rides, pig races, a vintage carousel and a park train that runs on real tracks. There’s also a popular zip line and the “Dairy Depot,” with ice cream treats for kids of all ages. 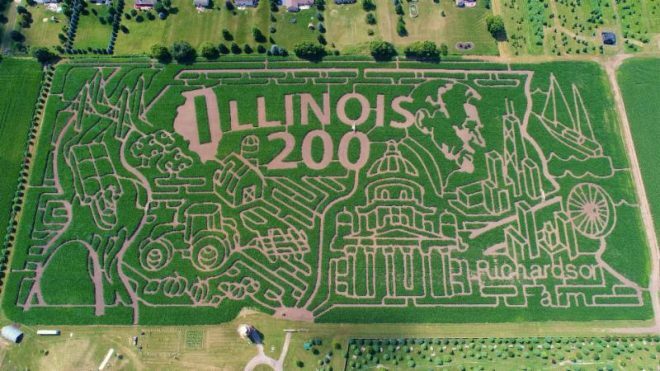 This year, the theme of Richardson Adventure Farm’s maze celebrates the state’s Bicentennial, or 200th birthday. 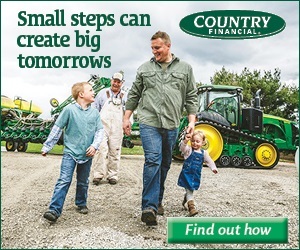 The lush green rectangular cornfield is sculpted with an intricate network of paths portraying Illinois symbols. The maze design is bordered on the west by the Mississippi River and on the east by Lake Michigan, Navy Pier and Chicago skyscrapers. The state capitol and Abraham Lincoln fill in the center, along with symbols of Illinois agriculture: a barn, silo, tractor, row crops, apple trees and pumpkins. 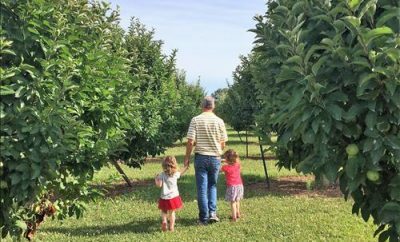 The farm is open Sept. 1 through Nov. 4, Thursdays through Sundays. For a full list of activities at the farm, visit www.richardsonadventurefarm.com.